Shulamit Cohen (b. 1917) was born in Argentina and raised in Jerusalem with her twelve brothers and sisters. Her father was from a wealthy Egyptian-Jewish merchant family, and her mother was the daughter of a prominent rabbi in Jerusalem. In 1936, the family experienced severe financial strain, and Shulamit’s father arranged her to marry Joseph Kishak-Cohen, a wealthy businessman from Beirut. 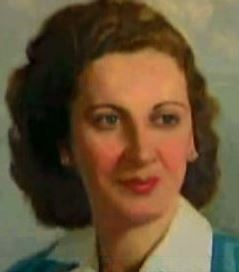 Shula moved to Lebanon, and had five kids by the time she was 24. One day in 1947, she overheard people discussing military activities against Israel. Shula recorded the information in a letter to the Haganah, which was fighting for a Jewish state in Israel, addressing it to her brother in Jerusalem. Five weeks later, an agent of the Haganah’s secret service contacted her. For the next 14 years, Shula worked as an Israeli spy in Lebanon. Her work consisted of two major goals. The first was to gather intelligence about Arab military activities, which she was able to do by getting herself into Lebanon’s high society, including the home of the prime minister, who considered her like one of his own daughters. The second was to help smuggle Jewish families fleeing persecution in the Arab world, particularly from Syria. Over the years, she helped countless families find safe passage to Israel. Shula communicated with the secret service using invisible ink, under the code name “Pearl”. She was first caught for smuggling in 1952. Pregnant at the time, Shula was taken to jail just three weeks after giving birth, and spent 36 days in confinement. She continued her clandestine activities for another 9 years before things got too dangerous and she moved to Rome for three months. Upon her return in 1961, she was immediately arrested for espionage. The trial went on for several months during which she was brutally tortured. She was initially sentenced to death by hanging, but the verdict was softened because she was a mother of seven. Her sentence was reduced to 20 years of hard labour. During the Six-Day War in 1967, Israel captured Lebanese citizens, and used them in a prisoner exchange for Shula and a captured Israeli pilot. Shula has lived in Israel ever since, and still volunteers at schools and IDF bases, despite her advanced age. Two of her sons have high-ranking roles in the Israeli government. A book about her story has been published, called Shula: Code Name The Pearl. UPDATE: Sadly, Shula Cohen passed away in May of 2017. This entry was posted in Extraordinary Individuals and tagged Argentina, Argentinian Jews, Beirut, Egyptian Jews, Espionage, Haganah, IDF, Israel, Jerusalem, Lebanon, Rome, Sephardic Jews, Six-Day War, spy, Syria, War of Independence on August 7, 2014 by Jew of the Week.